Blurb Description: An anxiety disorder disrupts fourteen-year-old Audrey’s daily life. She has been making slow but steady progress with Dr. Sarah, but when Audrey meets Linus, her brother’s gaming teammate, she is energized. She connects with him. Audrey can talk through her fears with Linus in a way she’s never been able to do with anyone before. As their friendship deepens and her recovery gains momentum, a sweet romantic connection develops, one that helps not just Audrey but also her entire family. 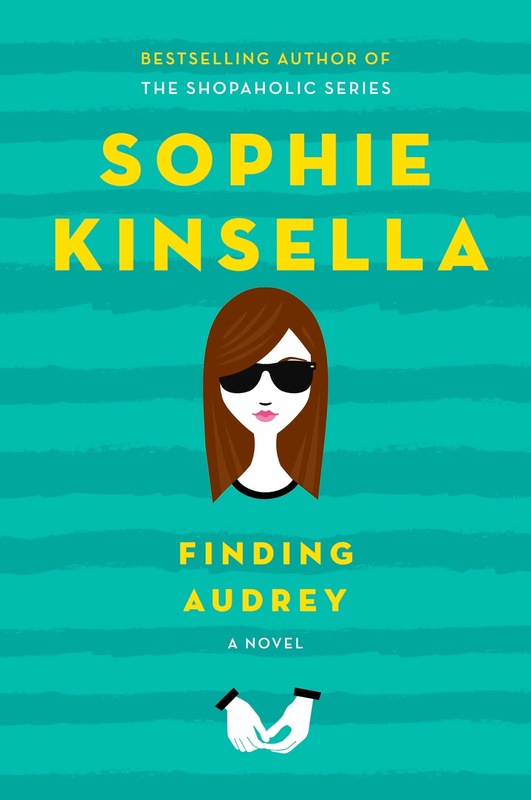 And that was my reaction to the whole charming, fresh, funny and all around BRILLIANT new young adult novel by Sophie Kinsella. 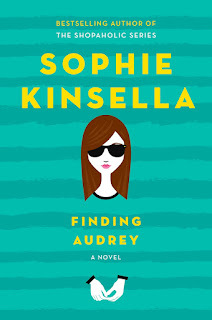 Finding Audrey has all the quirkiness of the Shopaholic Series, all the romance of the Undomestic Goddess and Can you Keep A Secret, all combined into a narration of a teenager with an anxiety disorder, written for young adults forming an ABSOLUTELY perfect book by the queen of perfection! Audrey had an incident. Back when she was in school, there was an incident. A large number of incidents, really. And then, Audrey’s life changed forever. The stories at the high school say she scratched herself so bad, she wears dark glasses to hide the hideous scars. That she’s mentally unstable. That she’s bipolar. That she tried to commit suicide. That she can’t speak at all anymore. But the truth is much simpler. Or rather, not so drastic and unbelievable. She has anxiety disorders coupled with depression episodes. And she wears dark glasses and never leaves home. But this is a story, of how Audrey finds Audrey. How she remembers, how she grows, how she evolves out of the cocoon she created for herself after the incidents. Of course, that’s the serious part, but that’s not how Sophie Kinsella writes her books. The hilarity of the world through the eyes of a socially anxious person is BRILLIANT! Whether it’s her mother freaking out about her brother’s excessive gaming habits, or Mission Starbucks, or therapy or just the brilliant Linus, with his jean contact and notes, this book will make you laugh, drink up the cuteness, feel the anxiety that Audrey feels and then, make you let it all go- and change as Audrey changes. The characters are complex, realistic, hilarious and all around AWESOME! I couldn’t give this book a higher recommendation! 5 golden glowing stars- READ IT!